Web development is one of the most demanding profession in 2018. Developers follow various efficient procedures for their work to finish in due time. PSD to HTML is one of them. It is considered as the smartest ever method to boost the entire web development procedure which is able to save time at a high rate. Besides, PSDs are quite easy to edit or modify if necessary. However, Adobe Photoshop is a very popular tool that almost every people familiar with, who are involved in web developing. You can find plenty of free PSD web templates online just by googling the keywords on the internet. But the problem is that you might be confused to choose the suitable one for you and also you might be fallen in trouble to download them as most of the site owner artifice by redirecting visitors from one link to another. Thus, finding out the actual download link is too much annoying. 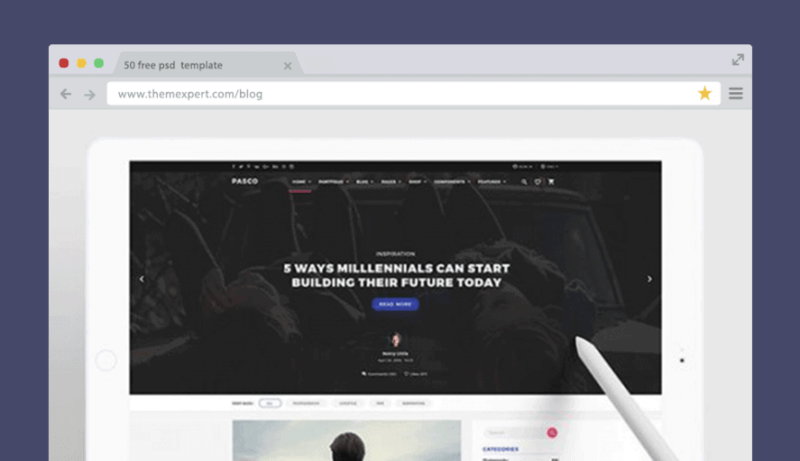 Now, I'm going to share a list of 50+ templates along with the download links in different categories like personal blogging, eCommerce, business agencies, small startups and much more. This list can ensure you to find what you are looking for. 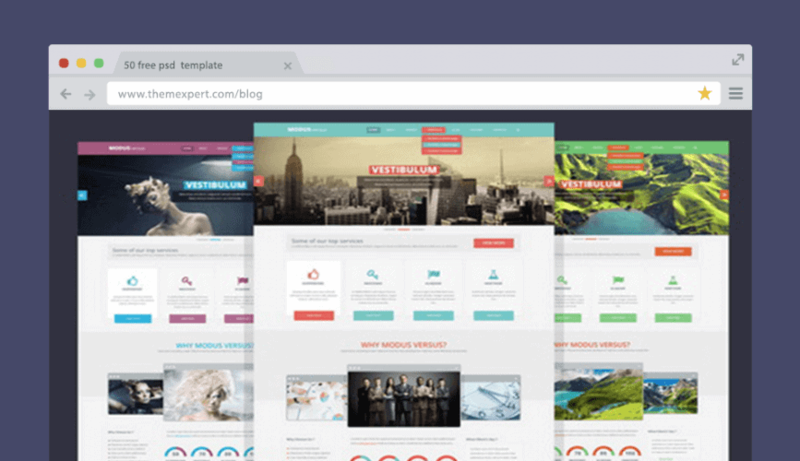 Some of these templates been already shaped as premium and free Joomla templates. If you need any free Joomla templates do not forget to check list of top free joomla templates from here. Meteor an excellent web template choice for magazine, newspaper and other related sites. Every section is designed in a way so that any type of news can be shown in your site. You can also run advertisement, in one word its best for news, magazine in its category. 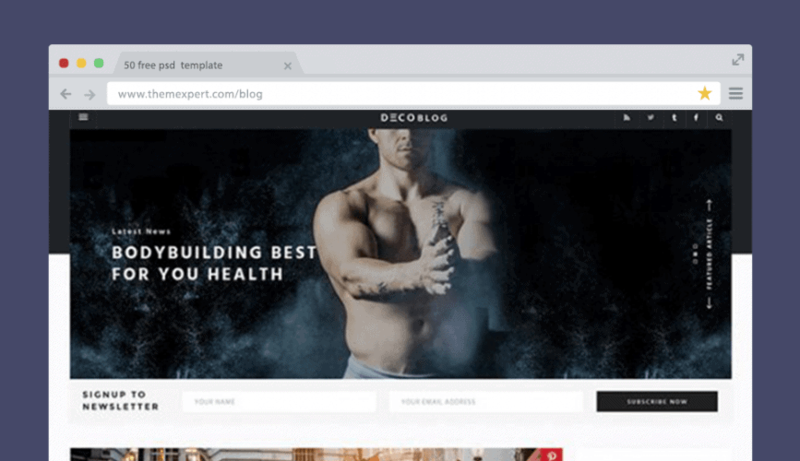 Build awesome gymnesium sites with help of Fitness PSD template. In this template every section is very much organized way so that you don’t have any kind of trouble at all. Beside running gym you can also sell regular gym products directly from your site. A very minimalistic Joomla eCommerce PSD template that perfectly suits any fashion, boutique and electric shop. 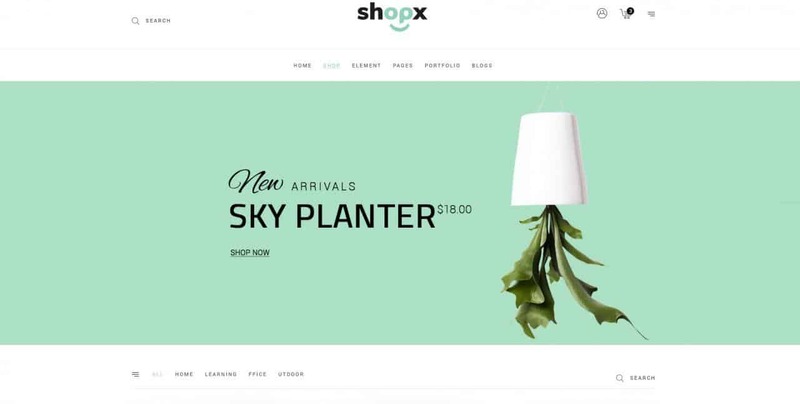 Shopx comes with niche specific landing page designs combined with authentic typography. Build your shop in the way you want. A construction psd template for constructors, plumbers and electricians. 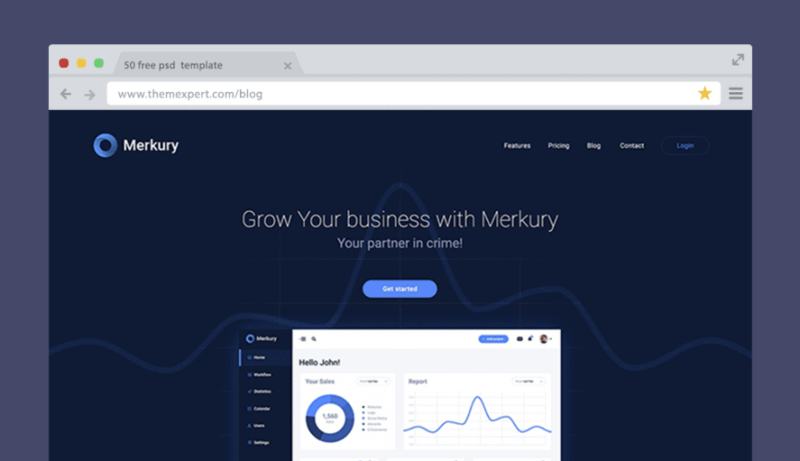 This is a minimalistic construction template that focuses on each and every section of your site. Its well furnished and organized design will easily catch the design of certain people. 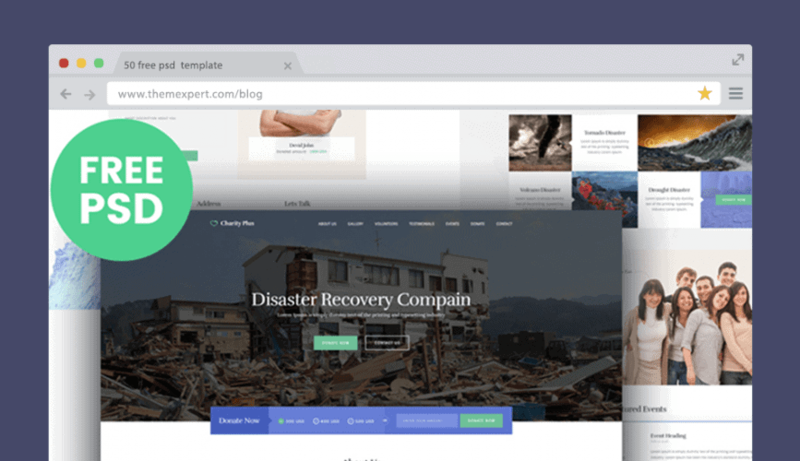 A clean, material design based minimalistic hosting template for Joomla. 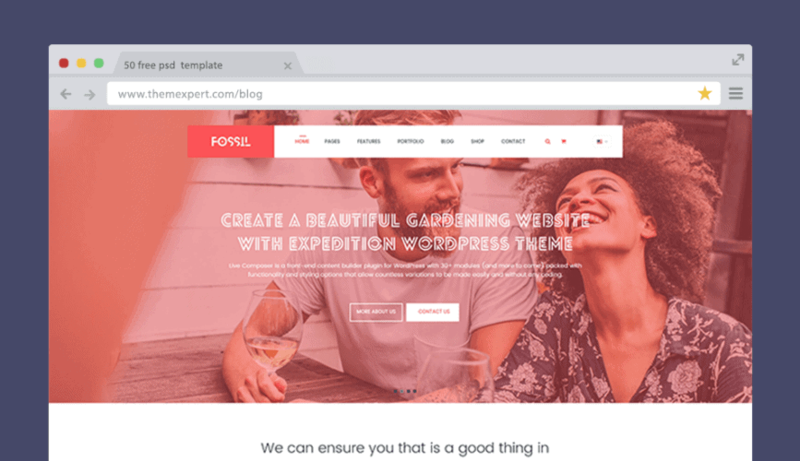 This nifty template comes with advanced grid layout that is crafted for the people who provides hosting services. 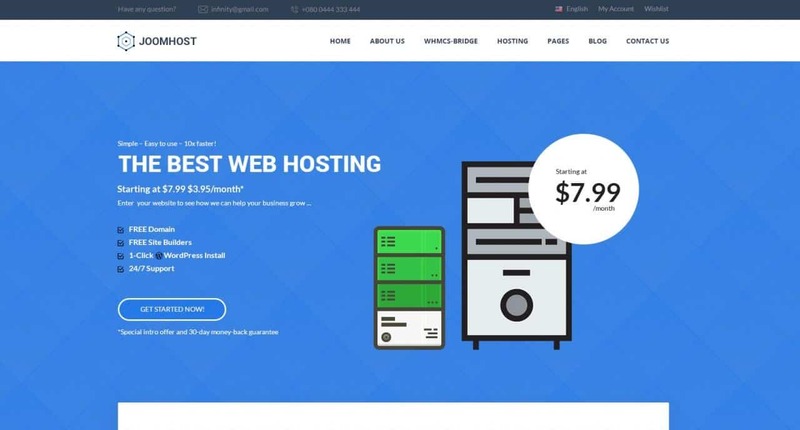 Its a all in one Hosting solution for your website. If you are running a design studio, agency or any business organization then Gen might be the ultimate solution for you. It comes with all the required things that a business site nee. 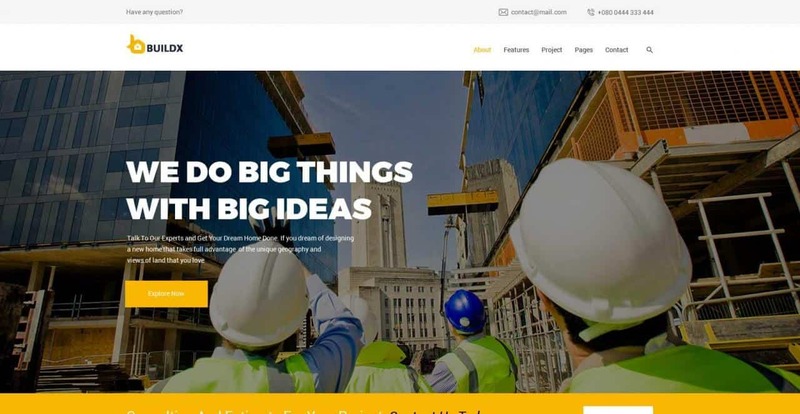 You can develop your next business website with Gen.
Parallax motion driven elegant layout with rich contents makes this template a perfect fit for your business site. The product presentation page is designed with special thoughts in mind so that people get attracted to you page. 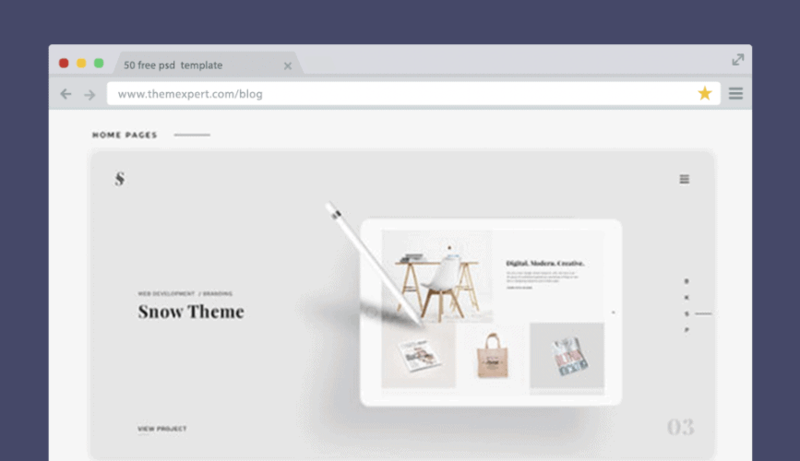 A easy to use event psd template that comes with marvellous home page layout.. You can organize any type of events your site with help of this template. 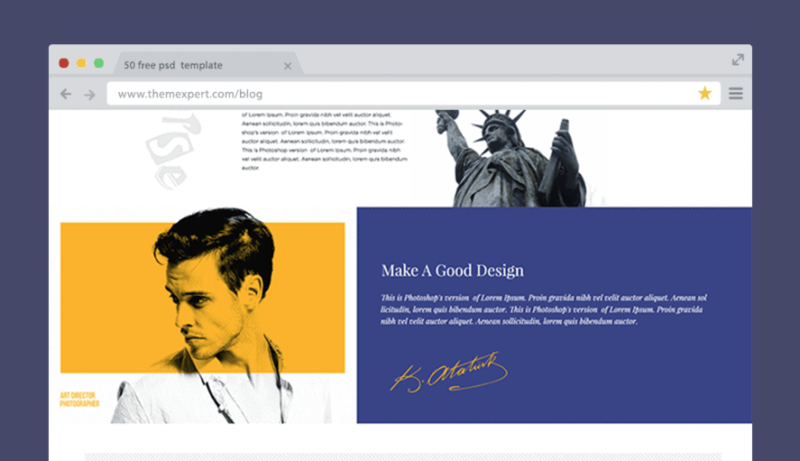 Every section of this template designed with expert designers. 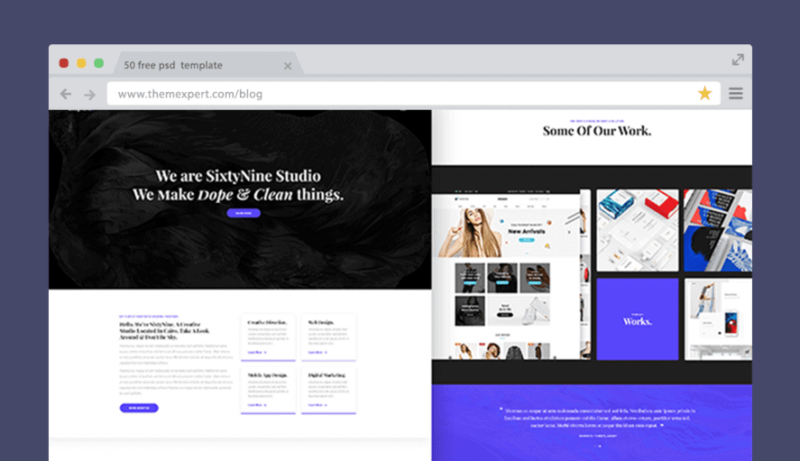 Give your business website a fresh and unique look with the biznes psd template. It’s elegant look is confirmed to attract the eyesight of viewer. 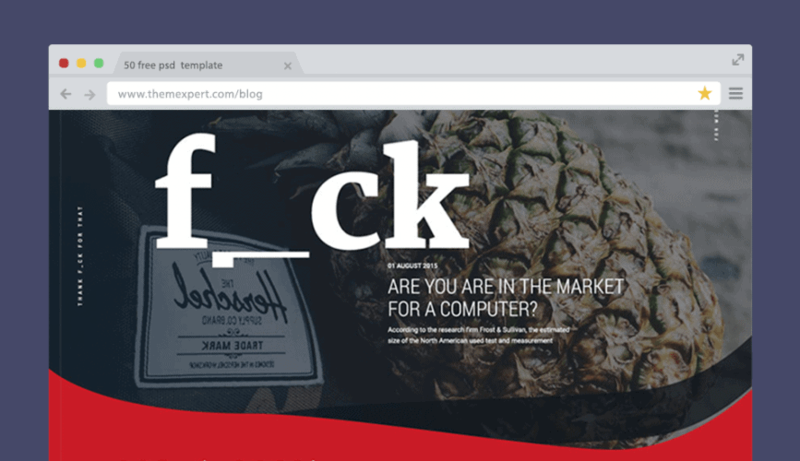 Your portfolio is your asses, show them in a unique way with Biznes template. Marvel Creative PSD template is brought you by PSDHub is a good fit for the both small and big business organization website. It can be used for a Portfolio site as well for showcasing projects. Marvel has been converted into Joomla website template. Click here to see, how Marvel Joomla website template looks. 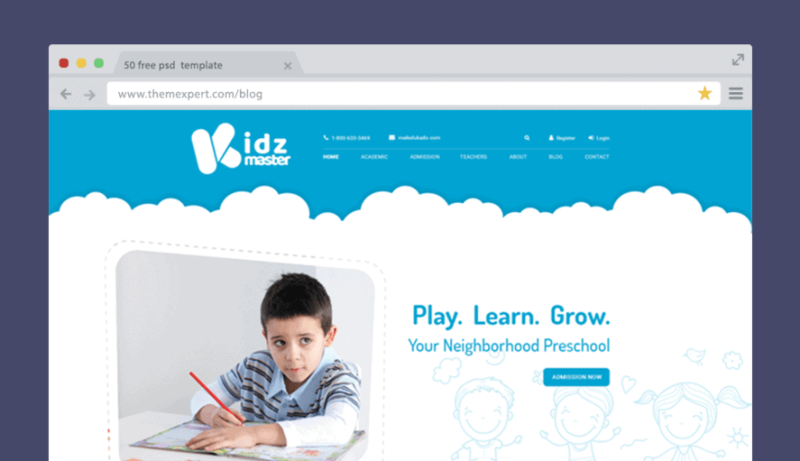 KidzMaster is a clean, childish PSD web template that is perfectly suitable for children related projects like Kindergartens, Preschools and Child Care Centers as well. Its decorated design and typography surely fit it in this category. It is beautifully crafted for wedding, anniversary and engagement event websites. Wedding's layered design easily can make the first impression on visitors mind and make works done for sure. The Wedding PSD template is so incredible, we decided to convert into a template. 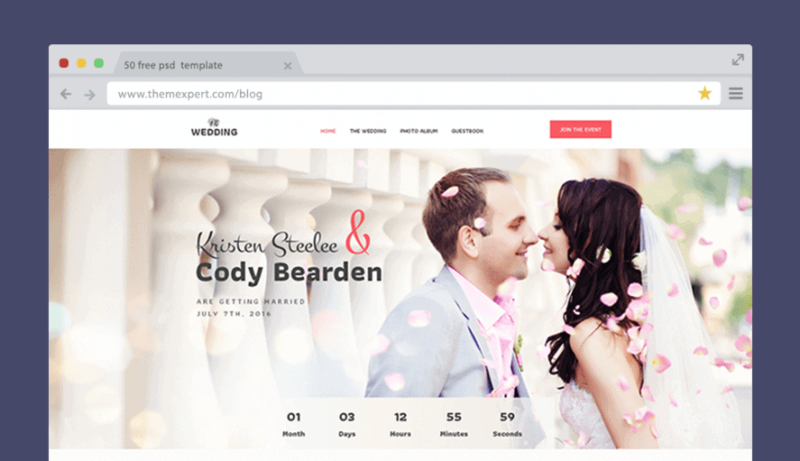 Check out Wedding Joomla template and plan for your perfect wedding. Finance is a premium quality high-res PSD template that is suitable for your business organization website. Its pixel perfect, layered design make itself best fit for the category. 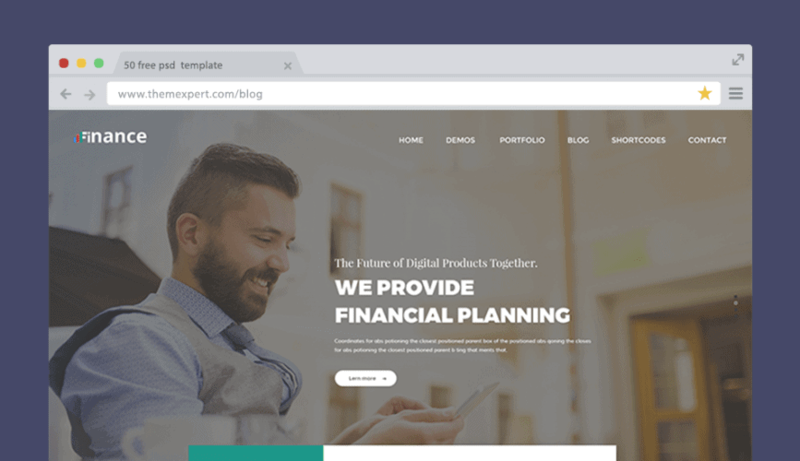 If you like you can checkout the Finance Joomla template also. 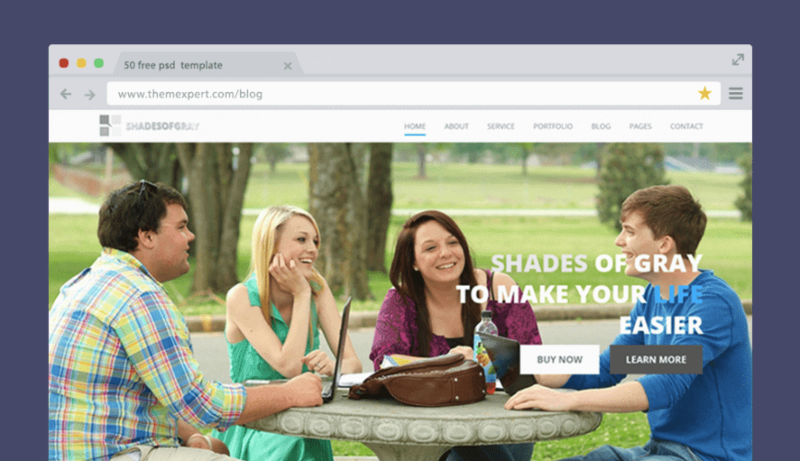 This free PSD template released by FreebiesXpress. Its wide design and well documentation suites for small companies as well as startups to represent their works in a stunning way. Its one of the premium templates PSD file of ThemeXpert and its free of cost. Its a perfect fit for both small as well as large company websites. Its stunningly designed section style with smart documentation obviously catches the attention of your visitors. 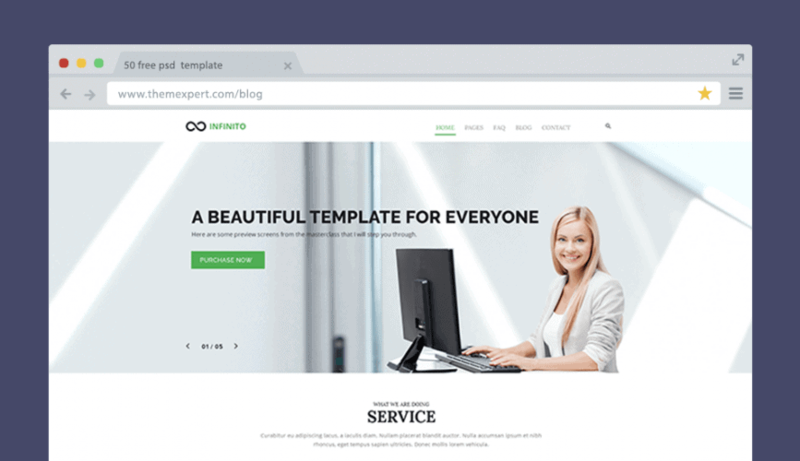 Try Infinito Joomla template now and build your desired website. 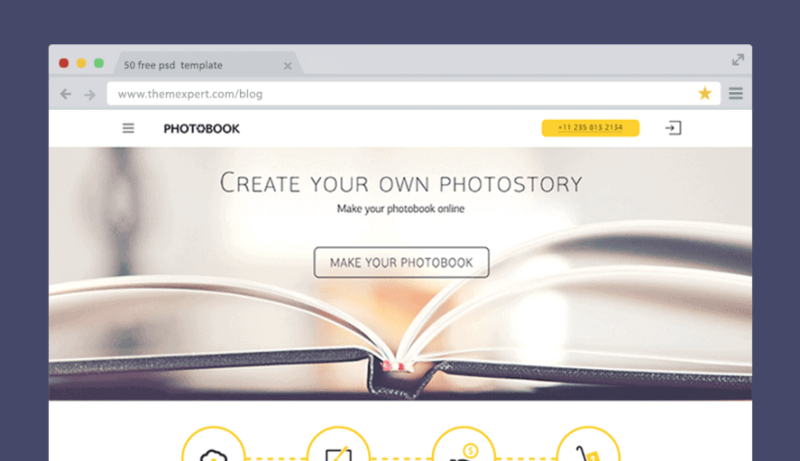 Photobook is a landing page free PSD template for the creative people who finds beauty even a single things. It will help you to keep and marge all your creative works at one place. 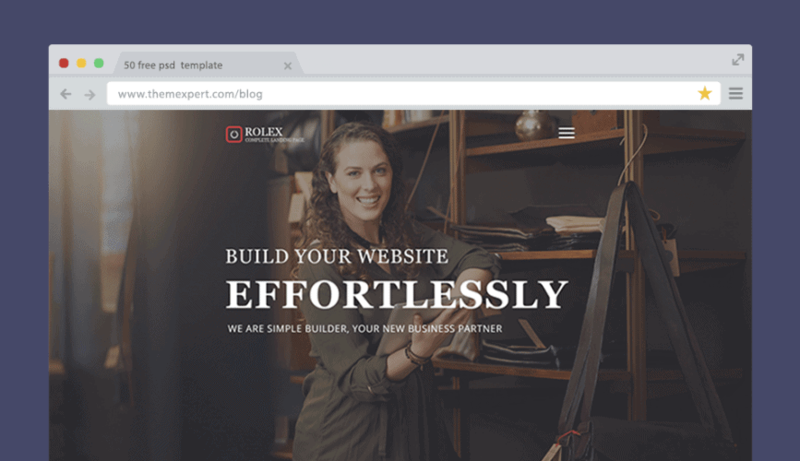 If you are running a small business agency or startup even if are searching for a template best fit for personal portfolio site than Rolex is the perfect solution. 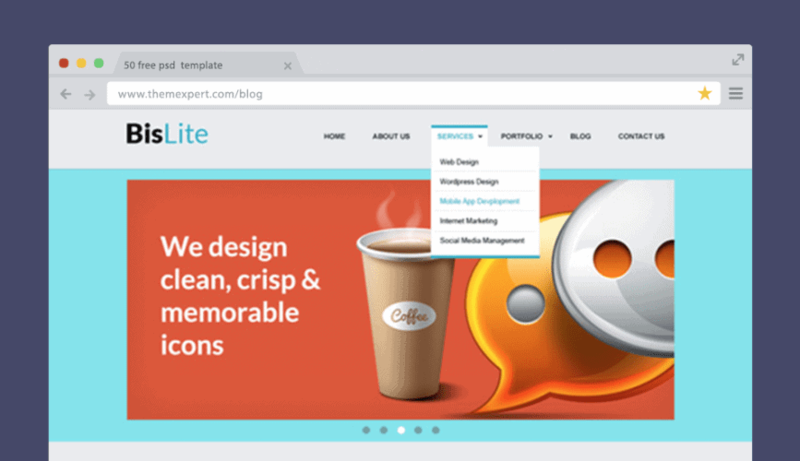 BisLite is one of the free PSD templates from GraphicFuel team that is specially crafted for modern business website and personal portfolio website as well. 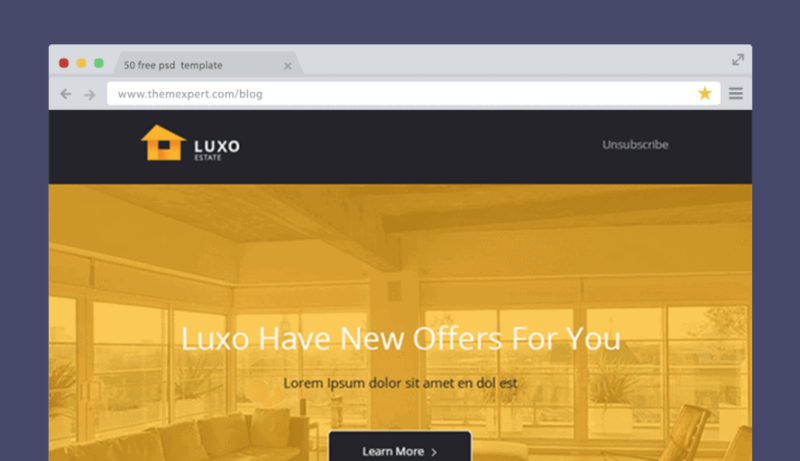 The .zip file consists of 3 homepage variations that are designed with full shape layers. This free PSD template is an appropriate fit for the agency websites as its meaningful layout says so. Its color combination is trendy and impressive therefore it is able to catch the users attention on his first visit. 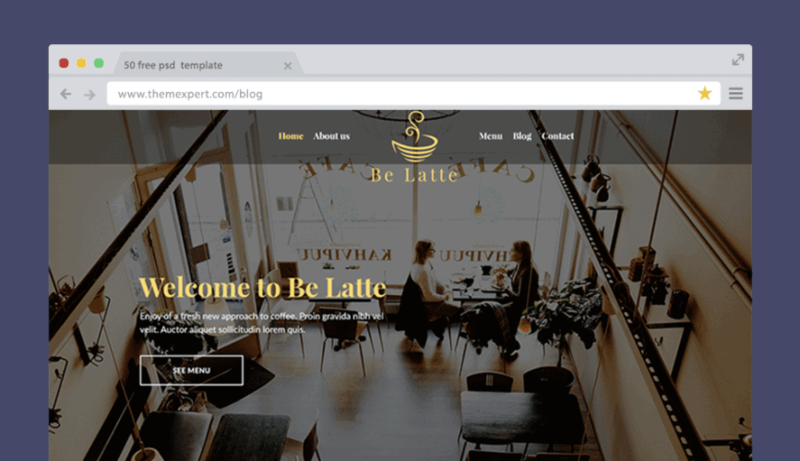 A free PSD template that can be the kickstart for your Coffee Shop website. The color used in it is no doubt the perfect utilization of a coffee shop website. This free PSD template is a good fit for business as well as portfolio websites. The organized grid design makes it effortlessly customizable further, and that can be converted into responsive HTML. 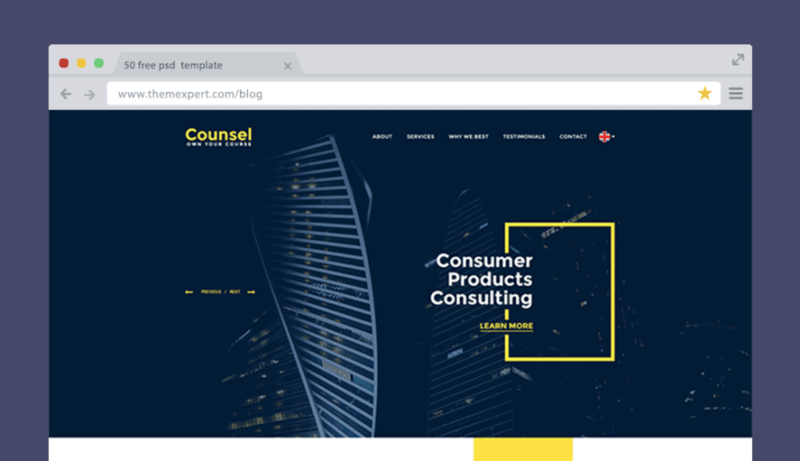 Counsel is a trendy looking free PSD template that can be a good suit for the organization's website who provide business plans and advice. Its clean design makes it easy to customize for further modification if necessary. 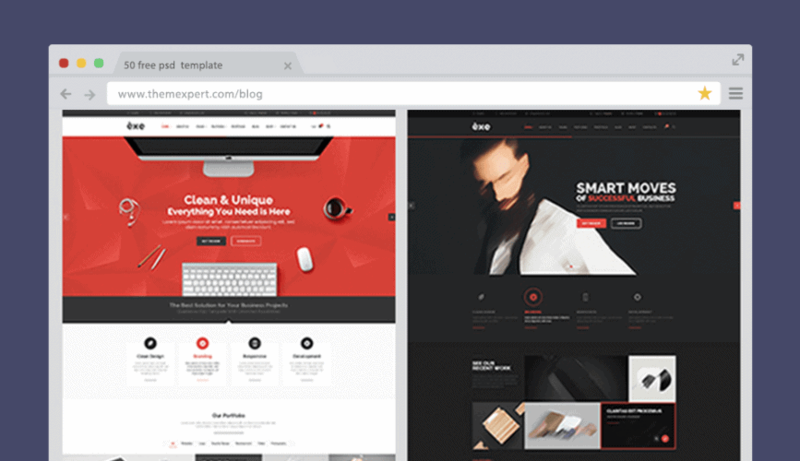 Bagdum is a free website PSD template, released by ThemeXpert, specially crafted for companies and agencies featured by a unique and modern style. 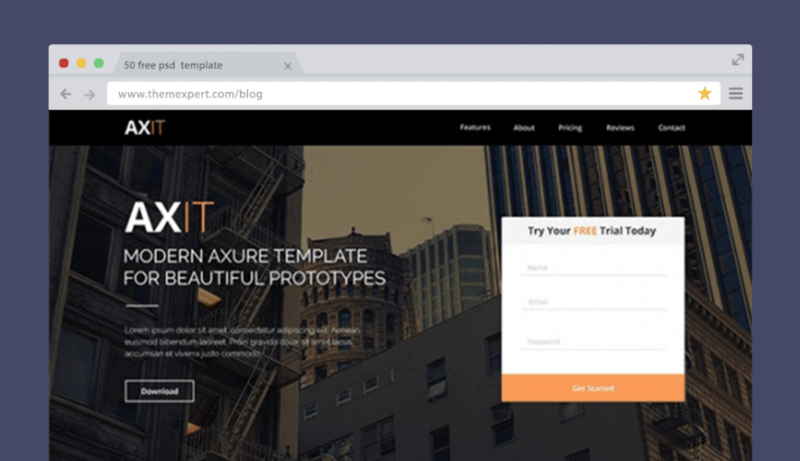 Its perfect in pixel and the package includes hi-res pages, based on Bootstrap grids that can be customized effortlessly. This premium quality PSD template is the best fit for your portfolio site to showcase your works and identity as well. It is trendy looking, absolutely pixel perfect and easily customizable. The layered designed highly reduce the hassle to re-use or as per any modification. 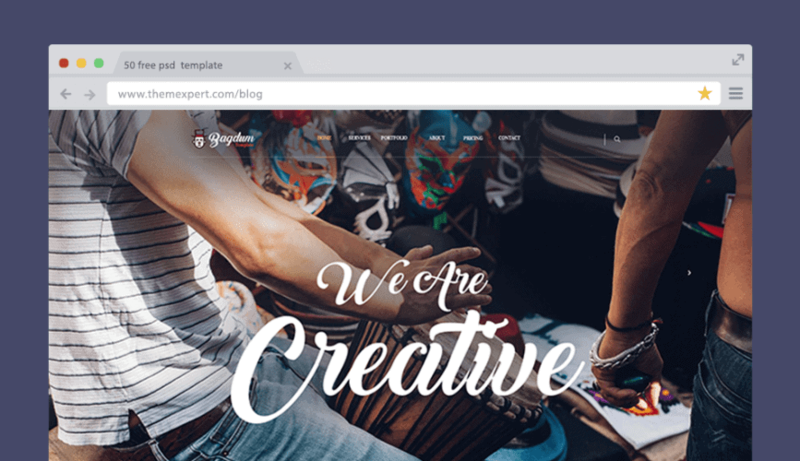 A high-resolution free PSD template for professional creatives. Because of its layer based organized design, it can be edited without facing any trouble. It can be the best way you represent your portfolio online. Its a particular product landing page free PSD template with an amazing layout. Fresh and well documentation ensure its easy customization capability. This can be a suitable fit for the dashboard based website to show information stunningly. 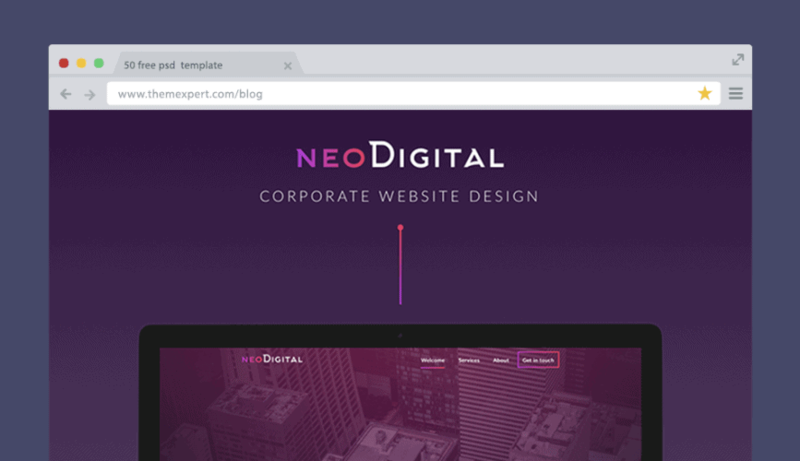 NeoDigital is a Creative Digital Agency based free PSD web template, designed layer based. The meaningful color combination and trendy typography make it standard compared to other similar themes on the web. 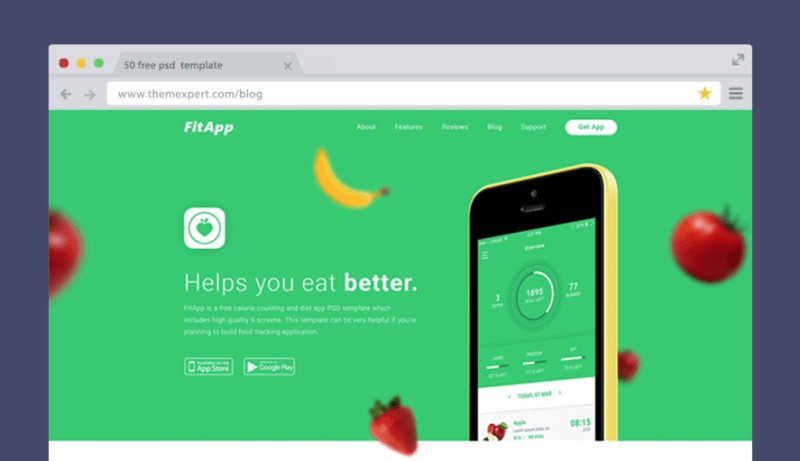 FitApp is a stylish free PSD template for particular mobile app landing web page. Its totally fresh designed therefore easy to customize further. That can be the best fit for your own app to represent online. 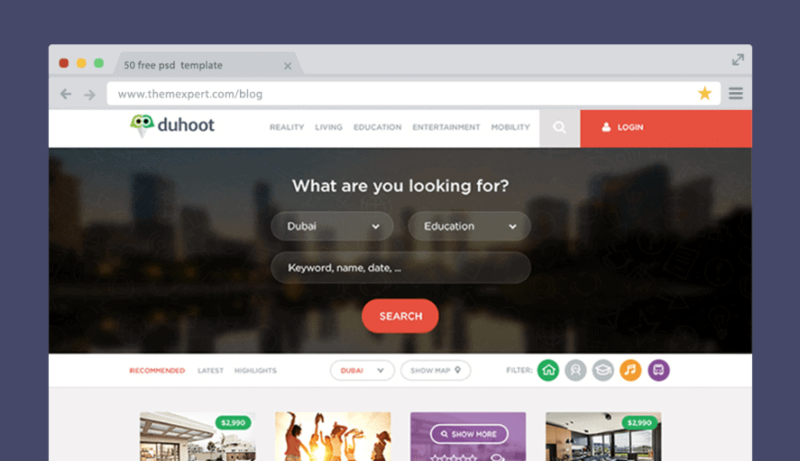 Duhoot is a high-quality free PSD landing page template where the meaningful color utilization amazes you for sure. It is specially crafted in a way that can easily catch visitors attention. It can be a great choice for your digital products showcasing. 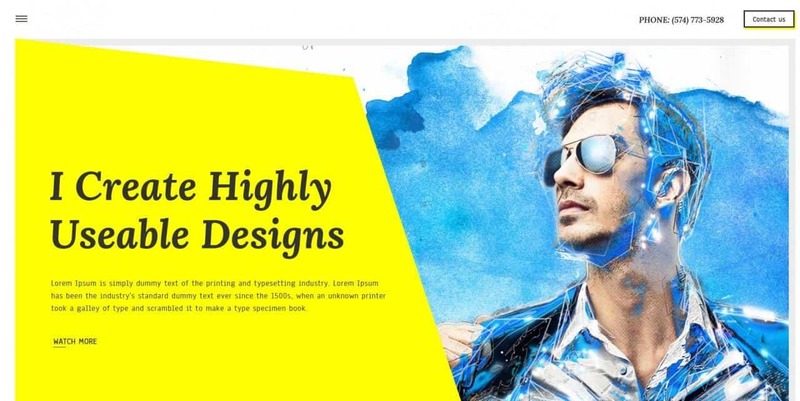 This free PSD landing page template for the creative agency or small business organizations. Its modern, stylish layout makes it looking professional in any web browser. 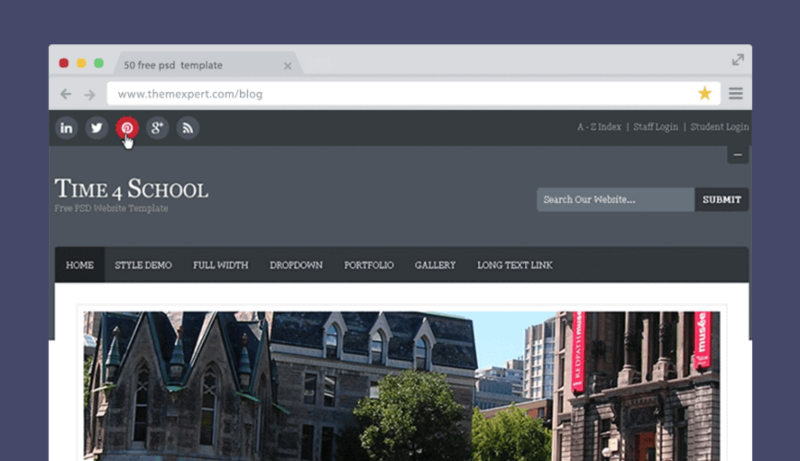 LMS is an education based free PSD web template, that is the best fit for an institution’s website. Through its organized layout, they way of showcasing courses, it illustrates itself as a standard education site. The .zip package has three colored homepage variations that will help you to choose your preferred color style. 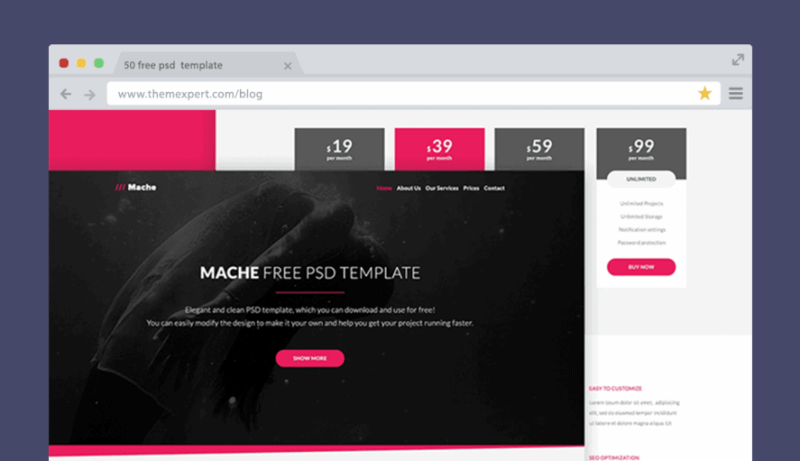 A free PSD template with a modern and stylish layout design that would work extremely great for landing page representation, specially crafted for individual mobile app landing pages. 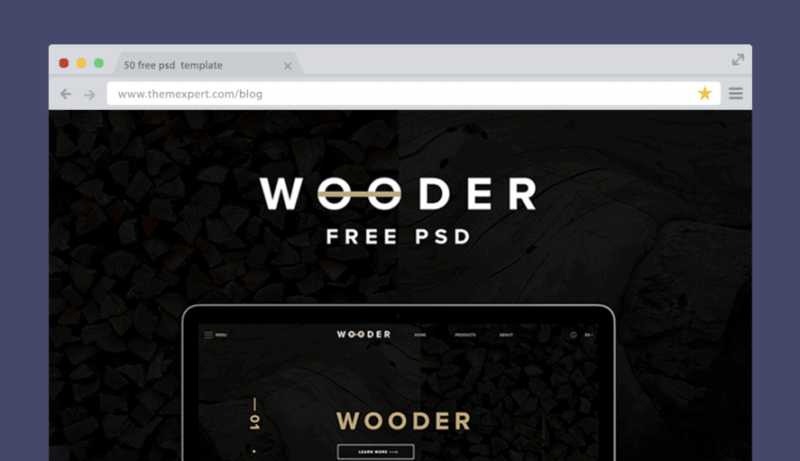 Wooder is one of the trendy, yet free PSD templates with the perfect combination of black & white and thus comes the stunning layout with a little touch of gold. Its easy to edit and further user as per personal or commercial use without violating any copyright issues of the owner. 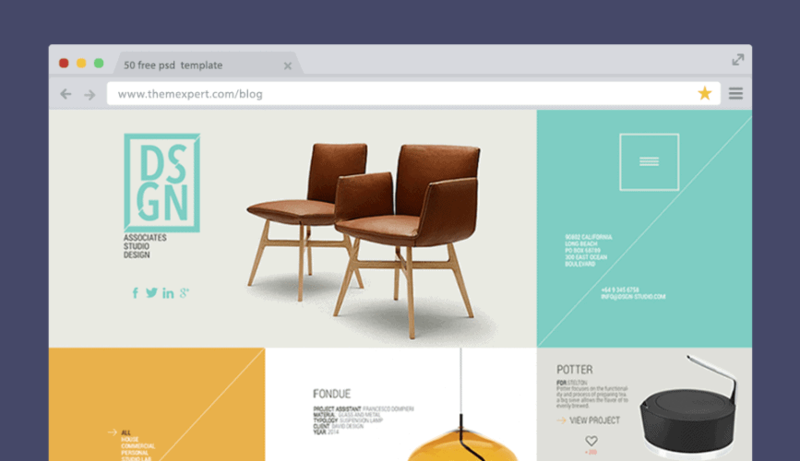 Best fit for furniture websites. This PSD theme is brought you by EpicPxls team that is a good suit for charity websites according to its meaningful layered design. Rust is kind of template that is able to leave a long lasting impression on any of its visitor's mind with its eye-catching, stunning layout. 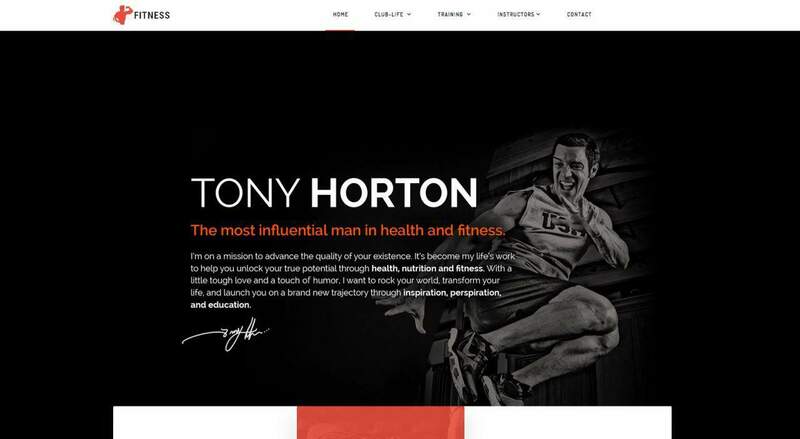 This can be considered as one of the modern looking templates is the best fit for either portfolio site or business websites as well. 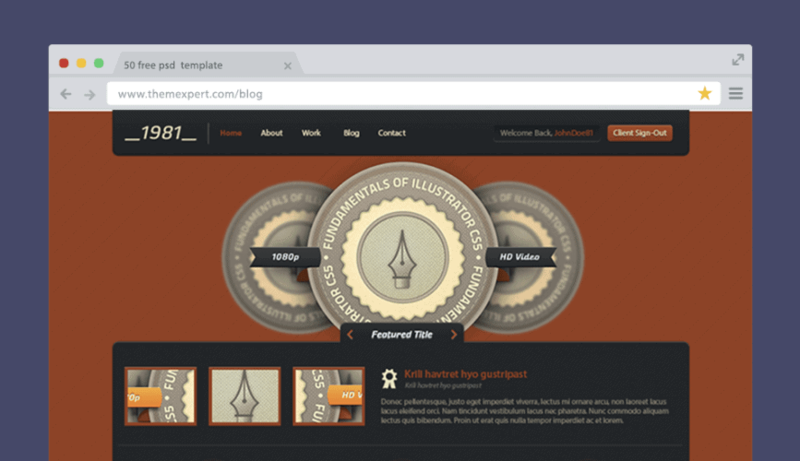 A free PSD template will be a good suite for personal blogging websites. High resolution, pixel perfect as well as the well-documented design makes it best in its category. Individual section decoration with giving priority in typography are the reason to choose it from other similars. A modern PSD theme with minimal UI elements, the best fit for eCommerce websites. The Beautiful color combination makes it the elegant looking, reason why it has the capability to catch its visitor's attention in his/her first arrival. It describes product showcasing in such a way that really matters on an eCommerce website. 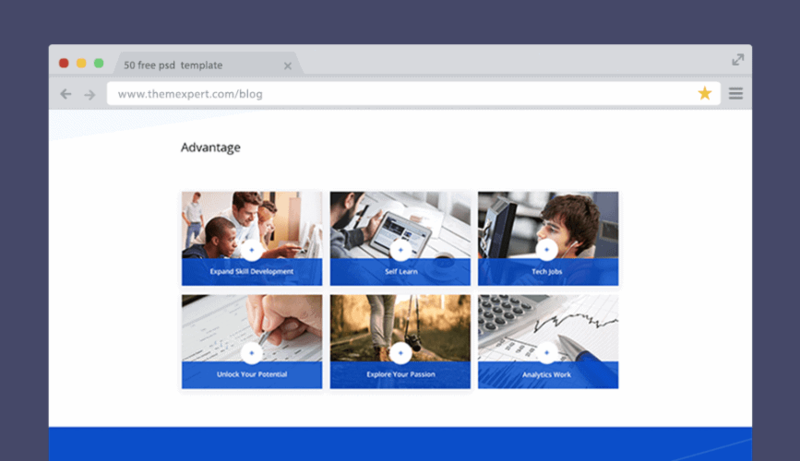 An education based free PSD web template, designed with giving attention in its every section to make it looks like a standard educational website. This can be a good fit for any education based institution's website. Flag Magazine free PSD template is based on the flat design using Photoshop. Its well decorated and organized and therefore easy to customize and further modification as per your need. A good fit for online magazine websites. 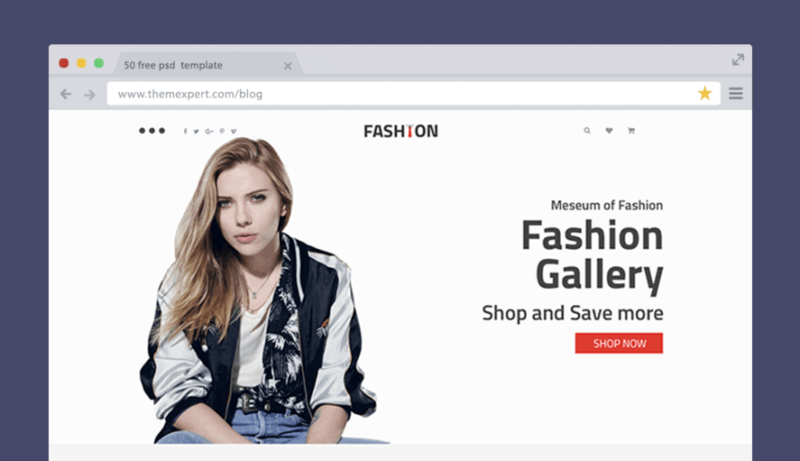 Fashion is a good suite for them who are looking for a simply stylish layout based eCommerce web template including a proper combination of good color sense. Each section is designed keeping the quality matters in mind, and the reason, why it can compete with any other eCommerce web templates, exists in online. This PSD template is specially crafted for eCommerce and fashion agency websites. 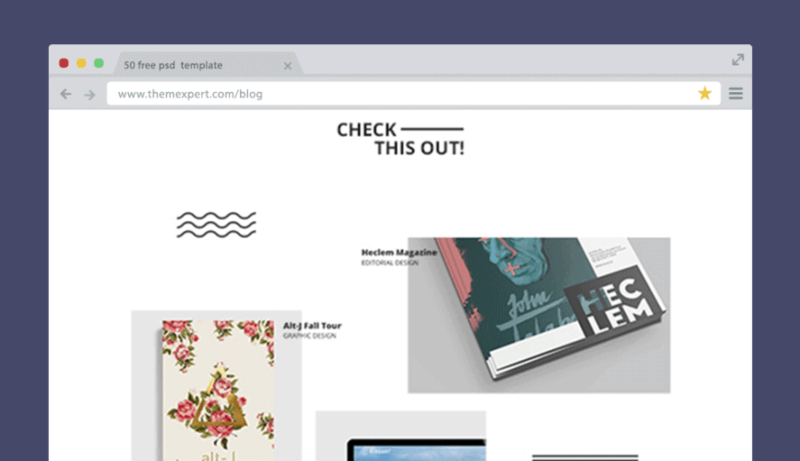 This free PSD template was designed on hi-res grid system includes neat and clean sections that work great for portfolio websites. It can be a good fit for showcasing personal projects as well as identity in an excellent way. 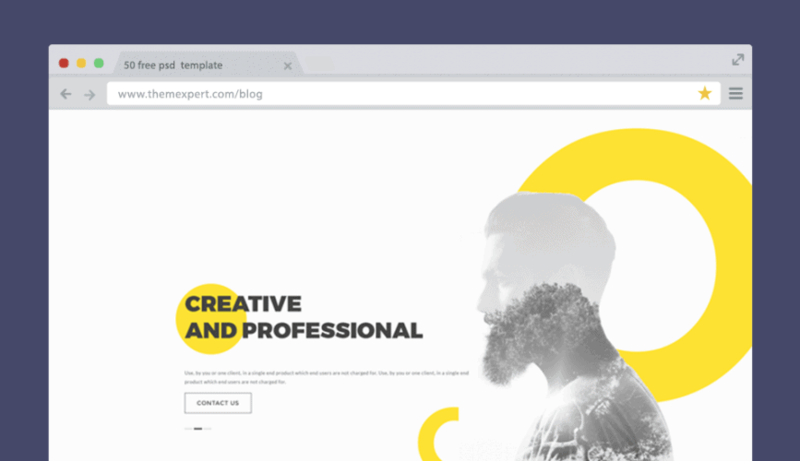 Exe is a free PSD multipurpose website template with a stunning layout including clever and meaningful color combination that is absolutely fit for its category. 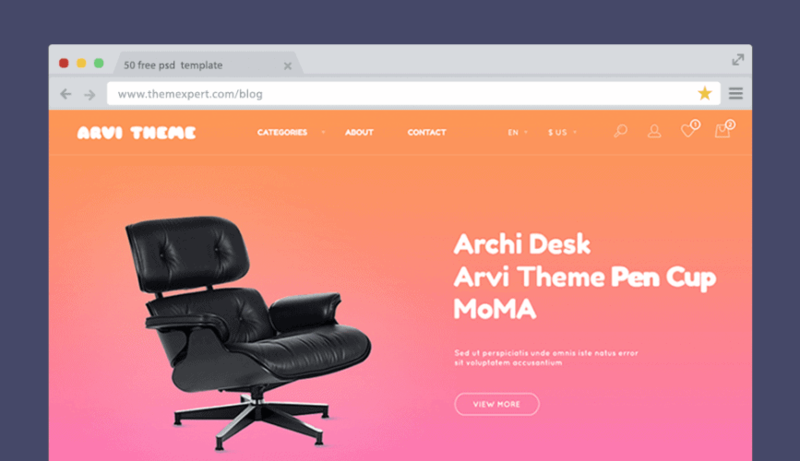 A modern layout one page PSD web template that is a good fit for eCommerce websites, is brought you by Luis Costa, an UI designer from Brazil. 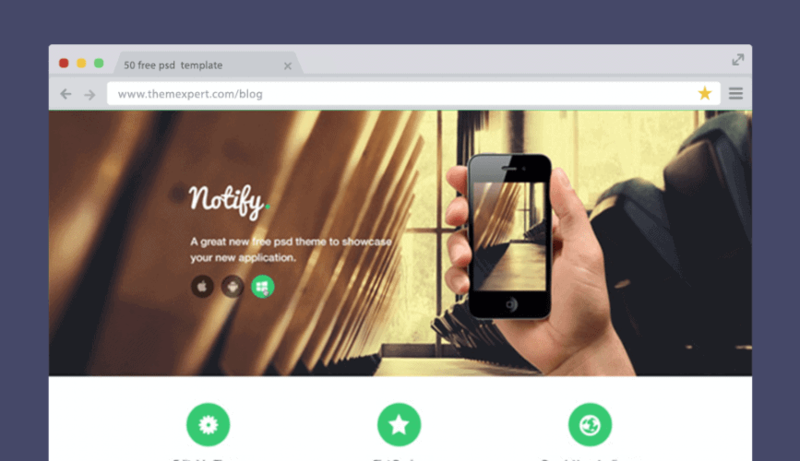 It was designed with Bootstrap grid system keeping in mind. Snow is a free website template is a perfect fit for portfolio websites. This package includes with multiple home pages, blog page including an HTML page as well. 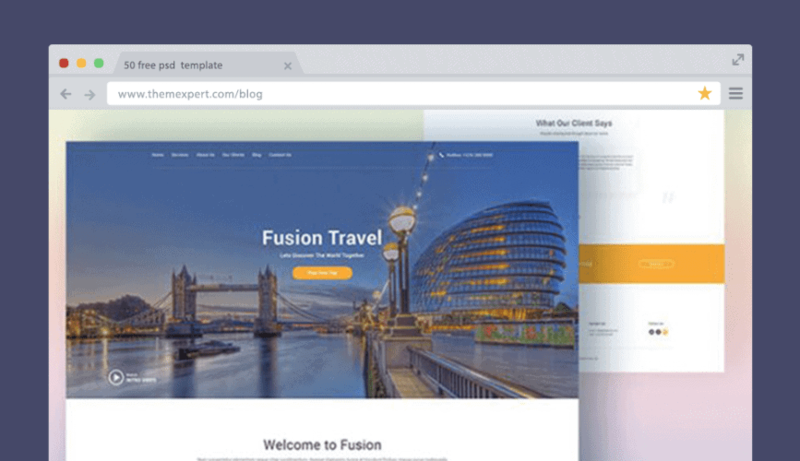 A free PSD website template that absolutely ideal for travel agency websites for promoting. It comes with a gorgeous layout including excellent color variation in its different sections. At the same time, its clean and fresh with a professional standard look. 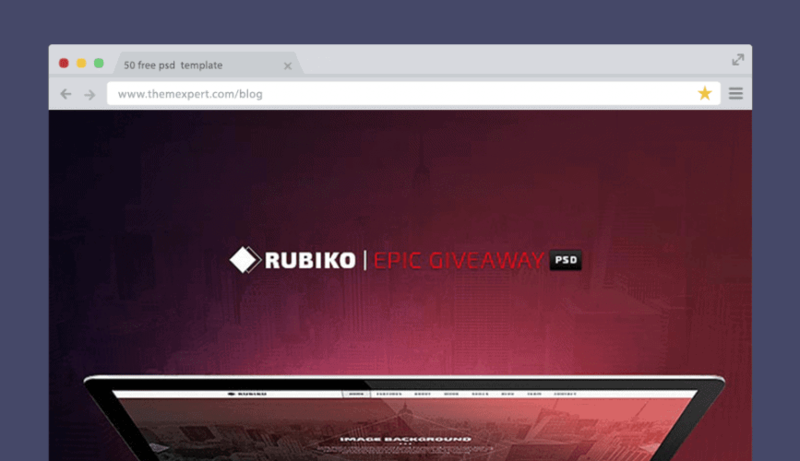 Rubiko is a free onepage PSD template, comes with an ever trendy stunning layout, considered 1170px grid system in mind while designing. Its the best fit for agencies, photograph or small as well as large business org websites. Smart color utilization will amaze the visitors and leave a sketch in mind for sure. A unique style layout free PSD template that would be a good fit for the online magazines. Typography is the main key that's been used on. Therefore you can't but love it. This stunning template was released from BlazRobar.com . 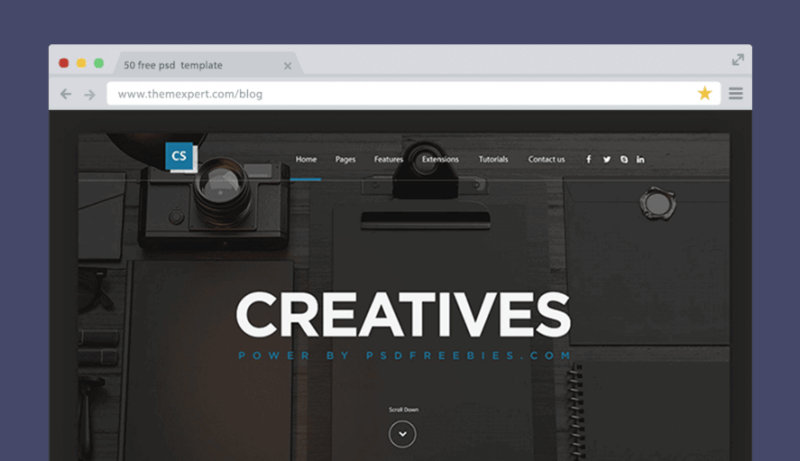 Creatives is a free PSD template, specially crafted for creative agencies to showcase their portfolio. 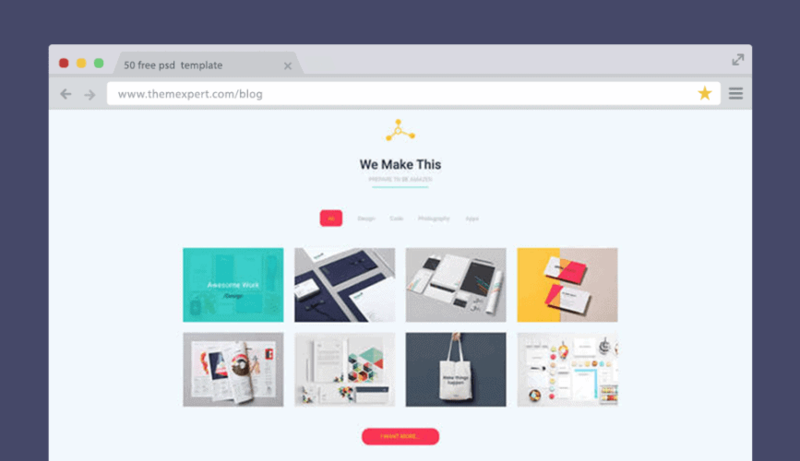 It can be used for the personal portfolio to show projects or identity stunningly. Its layered based design allow you to edit it without facing any difficulties. An absolutely suitable for real estate company websites. 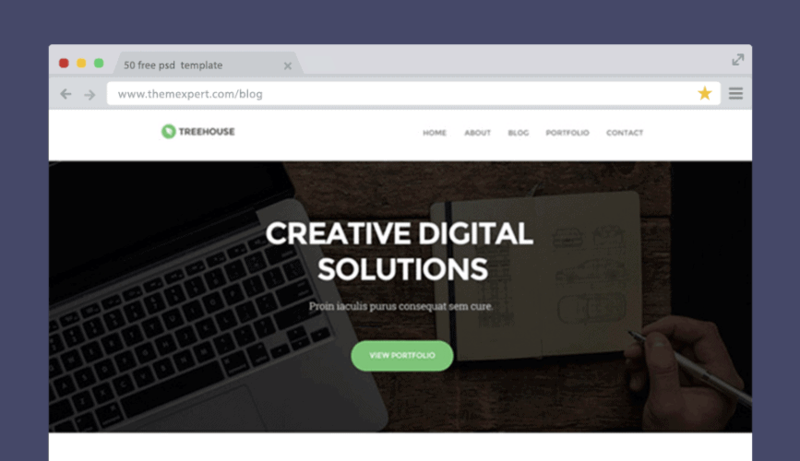 This free PSD template designed with modern, trendy layout that is perfect in pixels and well decorated and the reason why will be easy to edit or modify as per your need. 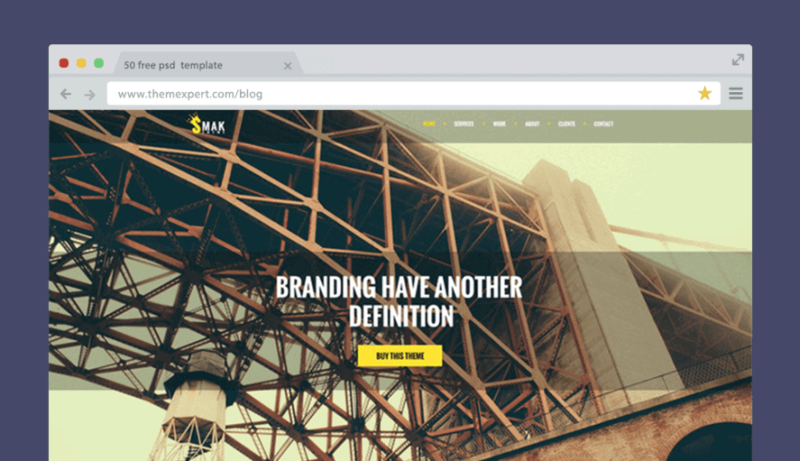 Smak is another single page web template crafted for organizations, portfolio as well as business websites. Its well documented, beautiful layered based layout grouped in different sections with the appropriate name to find it for further modifications and its completely pixel perfect. 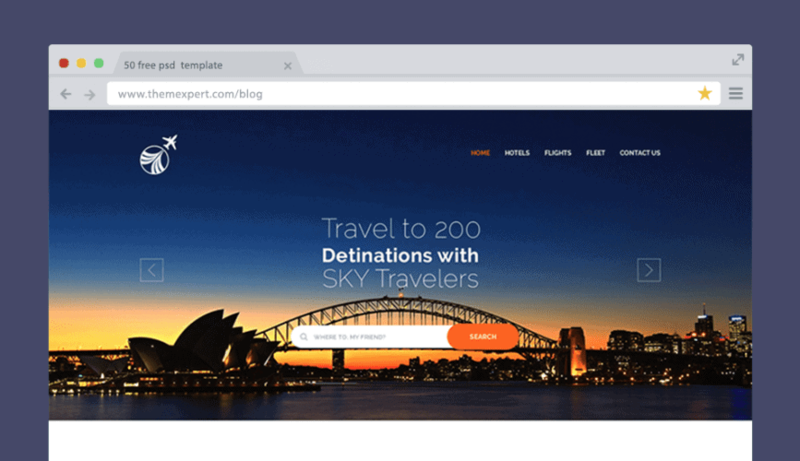 A travel landing page free PSD template that is extremely stylish looking and perfect in pixels. A simple color combination used in all the sections to make it more meaningful as well as acceptable. 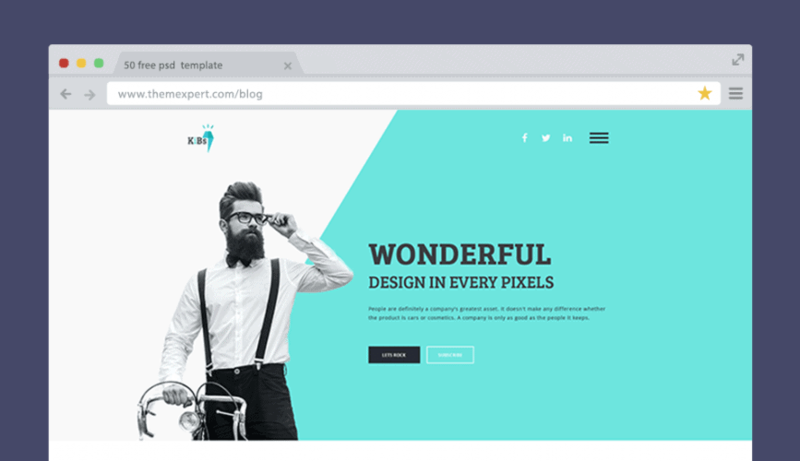 An ever stylish, modern layout free PSD template that can be a perfect fit for both small as well as big org websites. 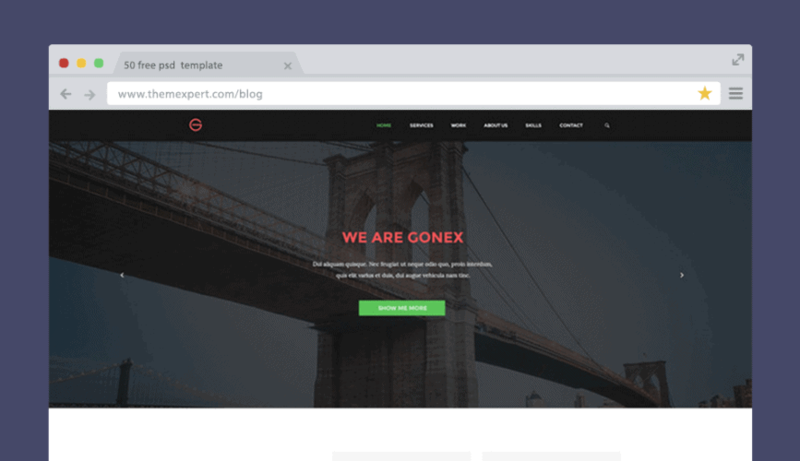 Gonex can also be used as a portfolio site to showcase projects or identity in a beautiful way that definitely would amaze the visitors. The color harmony used in it is really appreciable. Shades of Gray is a great single page PSD web template with multipurpose usability. It is ideal for your portfolio site or creative agency web page as well. If you want to present your business profile in a write way, that is the best fit. Artica is a modern and clean layout PSD template, good fit for portfolio, agency and much more. The package is fully layered and grouped according to suitable names for the purpose of finding further easily. This freebie designed with multiple front pages for mobile and desktop versions. Its easy editable therefore you can modify or analyze to improve your designing skills or just to get inspired. DigiMax is a kind of PSD free template that designed to satisfy almost all business needs. This file includes multiple pricing table design, highlighted team member section, testimonial sections and much more. Its limitless color choices help you to develop amazing websites without any difficulties. Digital Software Management is the best suite for a particular app landing page. 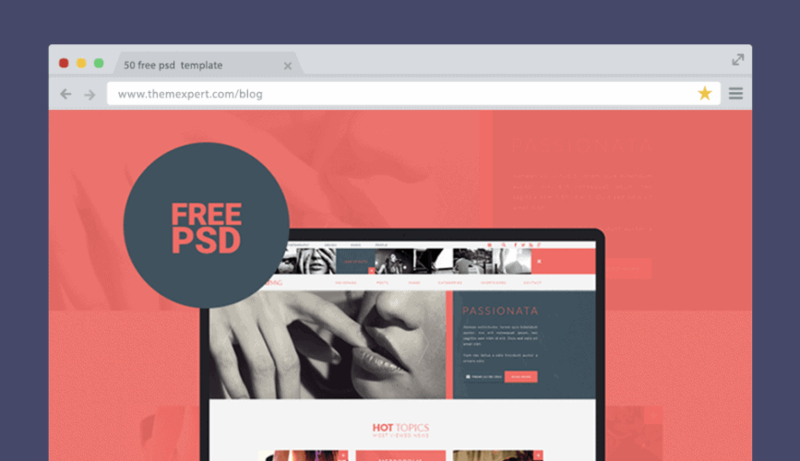 This free PSD template was released by PSDHub. Its modern well-decorated layout helps you to represent statistical data in a stunning way. Axit has an awesome layout with the standard color combination. 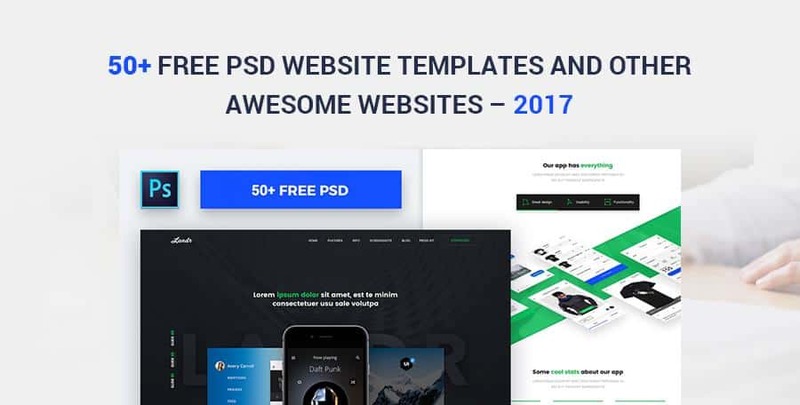 This free landing page PSD template designed layer-wise including hi-res grid system that is able to give your business a fresh look. 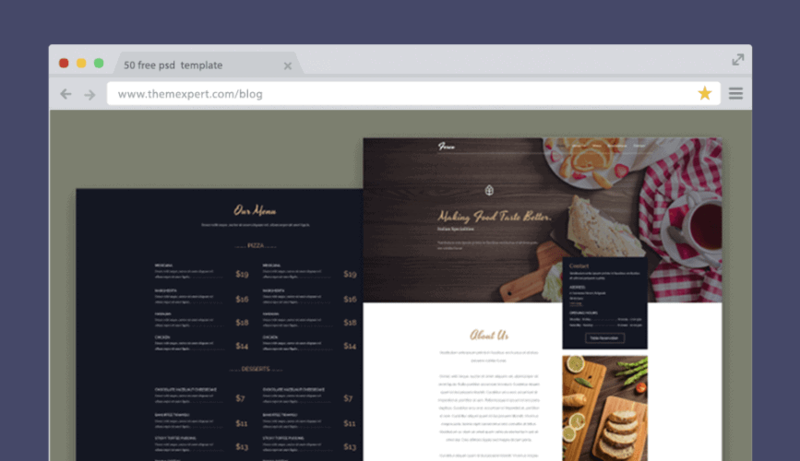 Fesco is a free PSD template that highly suited for restaurant websites, created with Photoshop. It might be the great solution for fast-food, pizzerias, coffee shops, bars, pubs, bakeries and drink related business website as well. 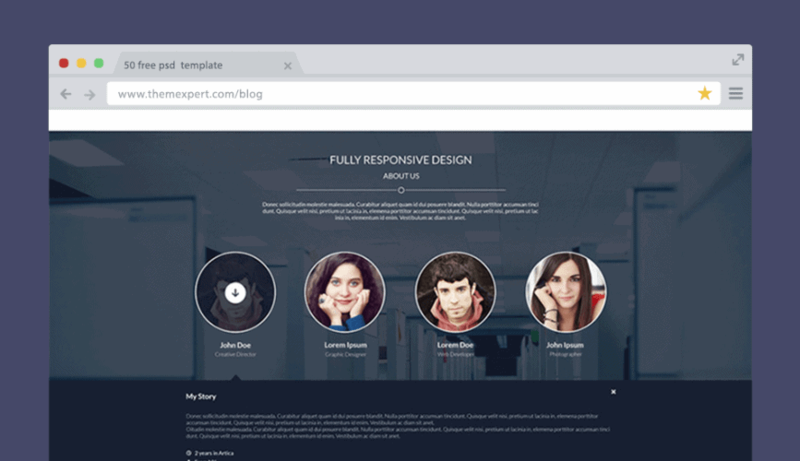 An amazing grid based PSD template, made for business websites representing stunningly including cool navigation that will definitely amaze the visitors. 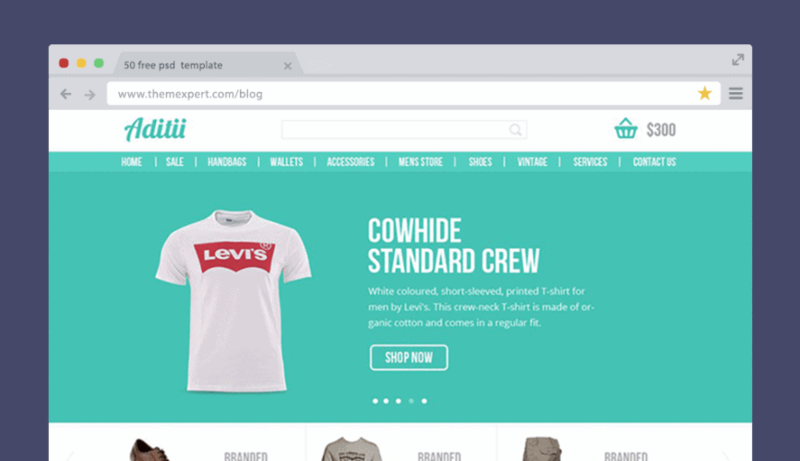 Aditii is a flat eCommerce PSD template from CSSAuthor. Its neat and clean design makes it a good fit for the eCommerce websites to excellently showcase the products towards its vendor. 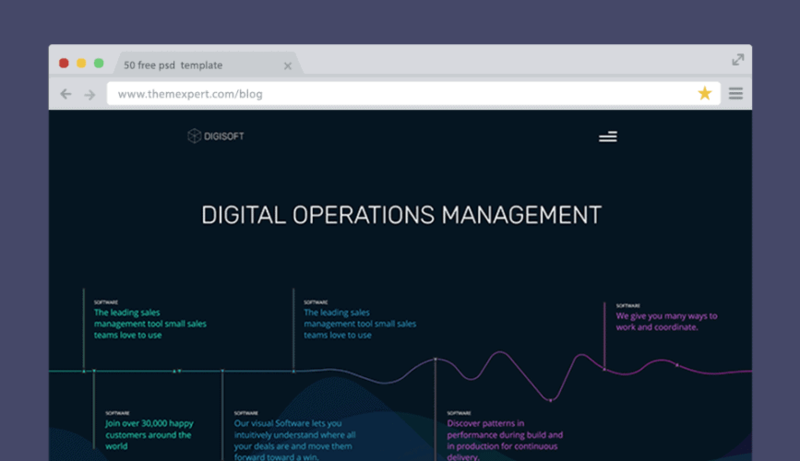 This template might be a perfect solution for your business organization or startup. 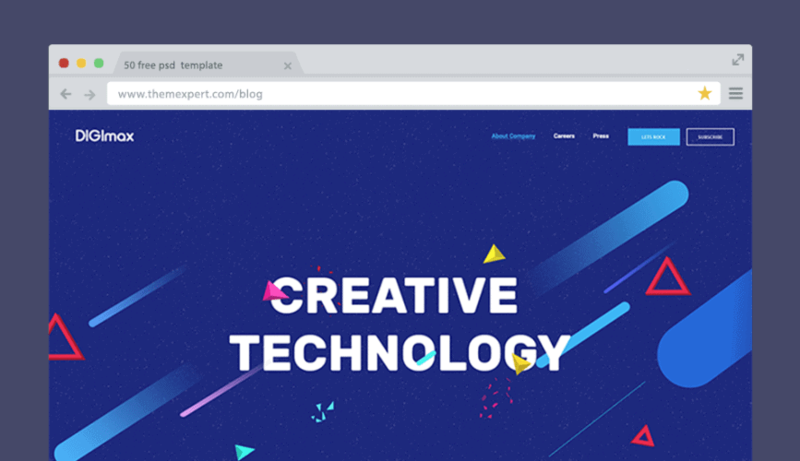 Creative Agency free PSD template designed almost all users requirements to make it acceptable for a standard business website, and it really does. Cleverness typography used brings it one step ahead in its category.